There are always certain things that remind of your childhood. It is almost like you forgot them and landed in a different place so alien. When something happens and you suddenly remember all those days. You think where did all the years pass away! Something similar happened when Amma recently made this Peanut Murukkus for us. All those years ago, I remember us eating these on summer trips went along with our family friends. 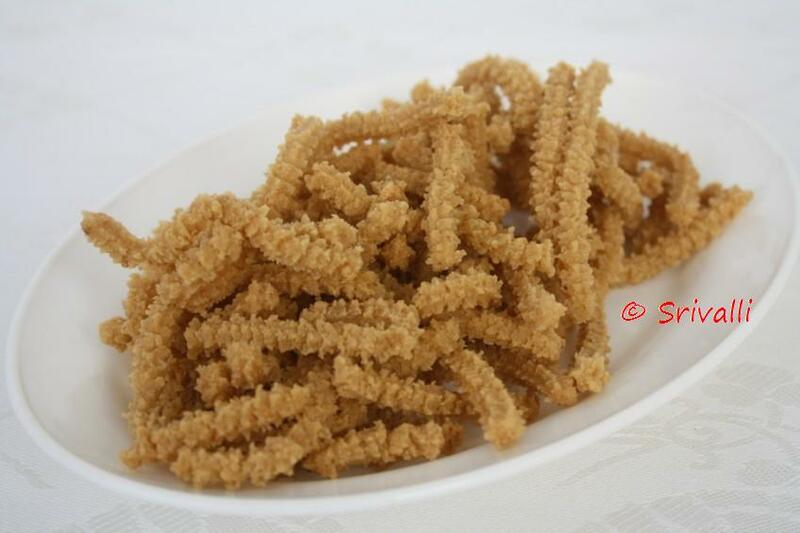 Aunty’s mom used to make these without fail, along with Sesame Ariselu. Both these Groundnut Murukku, Thatta, Nugulu Ariselu were her signature dishes, that she used to make for her grandchildren. And I used to be part of that gang, who got treated to these delicious snacks. These kindled my memory so much that, I had to make these again. These didn’t disappoint me nor did they sty for long enough for me to enjoy in leisure. Will be making these again as it is not so difficult as the rest. Roast the peanuts till done, skin them and powder to a fine texture. Mix it along with rice flour, salt and chili powder. Add the hot oil and mix to get a soft dough. Heat the oil in a pan and press them down using the muruku press. Since I used the store bought rice flour, those broke down to bits. But who cares, these were really so delicious to resist! 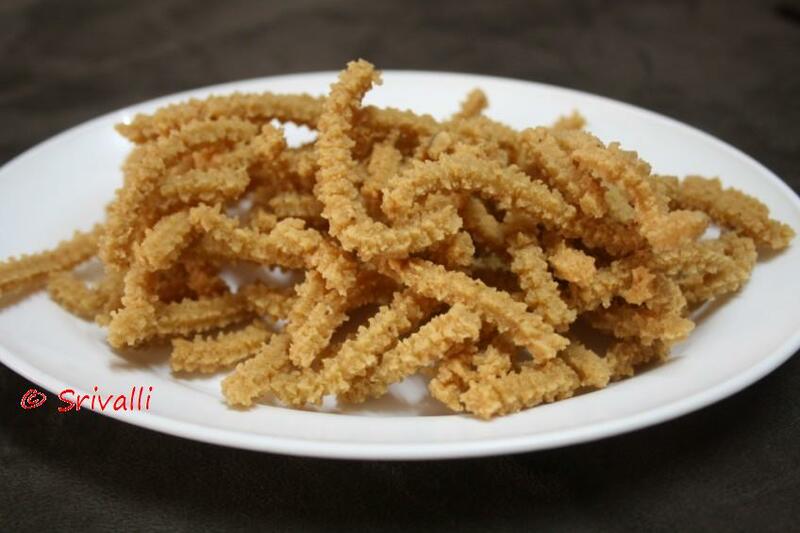 Wow peanut murukku sounds interesting and very new to me..looks super crispy!! Loved the nice variation dear. Never thought or ate peanut murukku. The murukku look lovely!! Great snack. I agree with u …the content (murukku) is more appealing than the background!! Murukku looks very tempting. Loved the black background, of course only with murukkus in the forefront:)New recipe to me, an instant hit. never had peanut murruku b4…they look good and delish!!! Oh.. my fav one.. looks inviting!! Hi . First time here , u hav a lovely collection of recipes with wonderful clicks .. The murukku looks so yummy …. Peanut murruku sounds very crunchy and delicious! !